The strained group photo that ends "The Gold Coast," the second season finale of Netflix's crime drama Ozark, is a portrait of a family in crisis. Looking at the image and moving your eyes from left to right you see: a daughter seeking emancipation from her own parents; a father bowing his head as he contemplates a war with the Kansas City mob and a growing conflict with his wife; a mother putting on a happy face after ordering a hit on a criminal who threatened the financial and physical well-being of her family; and a son launching his own small-scale money-laundering scheme. Forgive them if they don't want to say, "Cheese!" Ozark has always been about the great lengths people will go to to maintain a facade. 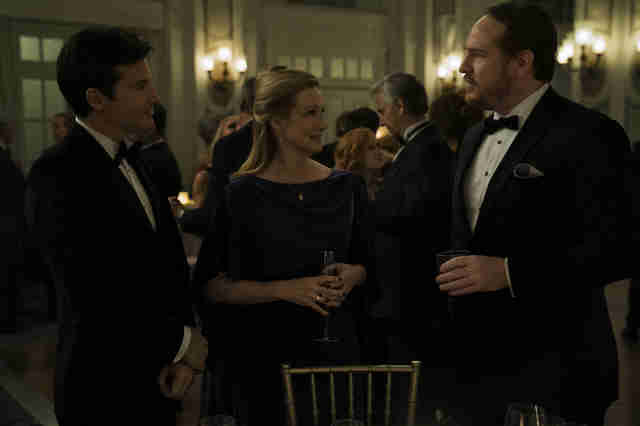 From its first episode, which opened with Marty Byrde (Jason Bateman) watching a video of his wife, Wendy (Laura Linney), cheating on him and closed with the Byrde clan ditching a cushy life in the Chicago suburbs for rural Missouri after Marty's partnership with the cartel turned violent, the series has called attention to the marks, blemishes, and scars that exist on seemingly shiny surfaces. Even after setting fire to their old lives, Marty and Wendy immediately construct new lies in their new surroundings. You can wash pounds of drug money, but you can't wash away who you are. Season 2 consistently doubled-down on that theme. It's what makes the "Gold Coast" fantasy that the title refers to -- a dream, initially shared by Marty and Wendy, of moving to Australia to escape money laundering forever -- such a tragic, poignant plan. Despite his proven ability to outsmart and outlast almost all his adversaries, Marty was naive, possibly even delusional, to ever think he would ever be able to get away clean. Wendy knew the rules: In the harsh moral universe of Ozark, there's no escaping your true self. Cade Langmore (Trevor Long) knew that, too. Gunned down in the middle of the road after taking a bag of money from Wendy and splitting town to the tune of "Brandy (You're a Fine Girl)," the lecherous con man followed his impulse towards self-preservation until the very end. He wasn't motivated by his love for his children, like Marty, or a loftier goal of protecting his family's name in the community, like Darlene Snell (Lisa Emery). He was simply looking for an out, and when it presented itself in the form of Wendy's bribe, he abandoned his trailer park home faster than a squirrel fleeing from buckshot. So what if the money was a trap? You've got to take those risks, especially if you're an agent-of-chaos villain with a short shelf life, which Cade looked like the second he showed up. He played his role. As an antagonist, FBI agent Roy Petty (Jason Butler Harner) had a longer run. Though he was killed by Cade in the finale, struck in the head repeatedly with a rock and sent to the bottom of the river, Petty cashed in most of his chips earlier in the season. Was there really anywhere for the character to go after he squeezed Rachel (Jordana Spiro) so hard and watched his case against the Byrde family blow up in his face? He lost what little swagger he ever had. Still, it was a slightly poetic end for the ethically challenged federal lawman to die while fly-fishing, the activity that first bonded him to Cade's brother Russ. 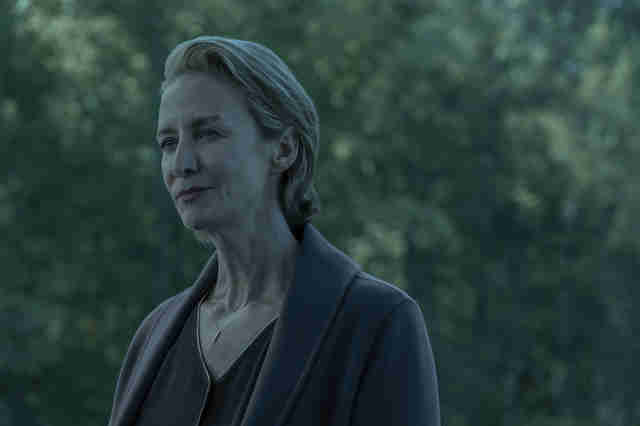 Maybe they'll be reunited as ghosts in Ozark's version of the afterlife in Season 3? The second season of a show is typically a chance to expand the world. This past season of Ozark did that in certain ways -- the writers dipped their toes into local politics, gave us a bit about unions and "right to work" legislation, and introduced some new cartel associates from Chicago -- but the finale felt like an attempt to shrink the playing field down. Sure, the mob tough guys, led by the bulky Frank Cosgrove (John Bedford Lloyd), blew up Marty's spiffy new office, and, yes, Wendy made a deal with the cartel's hyper-competent attorney Helen Pearce (Janet McTeer). It's likely those two will emerge as more significant plot-driving forces in Season 3. Like on Breaking Bad, the show Ozark is most often compared to, there's always a bigger Big Bad around the corner. In fact, Ozark suggests that its two protagonists, Marty and Wendy, might be the biggest, baddest characters in the whole series. Increasingly, the pair (and their children) are becoming self-aware about that truth. Amidst all the dialogue about "choice" and "fate," the show has shown through its storytelling that there are limits to the self-deception one can engage in to justify evil acts in the name of survival. Marty killed a man this season; Wendy ordered the execution of another. Can they learn to accept each other? These moral transgressions will reverberate through the rest of the series in the same way Ruth's killing of her uncles has lingered. If pressed, both Marty and Wendy would claim they were only protecting their family and loved ones. They acted out of a sense of righteousness. They had no choice. Those are the lies and excuses on the surface, the chipper self-deprecating speech you make before a ribbon-cutting or the smiling face you present to the photographer who wants to put your picture in the paper. In the seasons ahead, those facades will likely crumble. For now, let's see where the riverboat takes us.